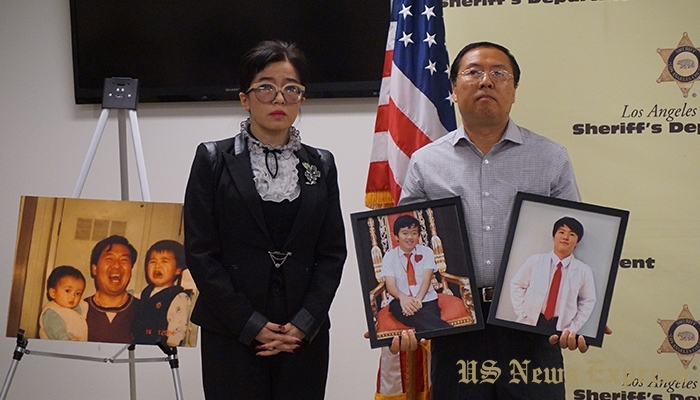 LOS ANGELES(LASD)-A man suspected of killing two teenage brothers has been brought back from the government of the Hong Kong Special Administrative Region of the People’s Republic of China to face arraignment in a Los Angeles County court. 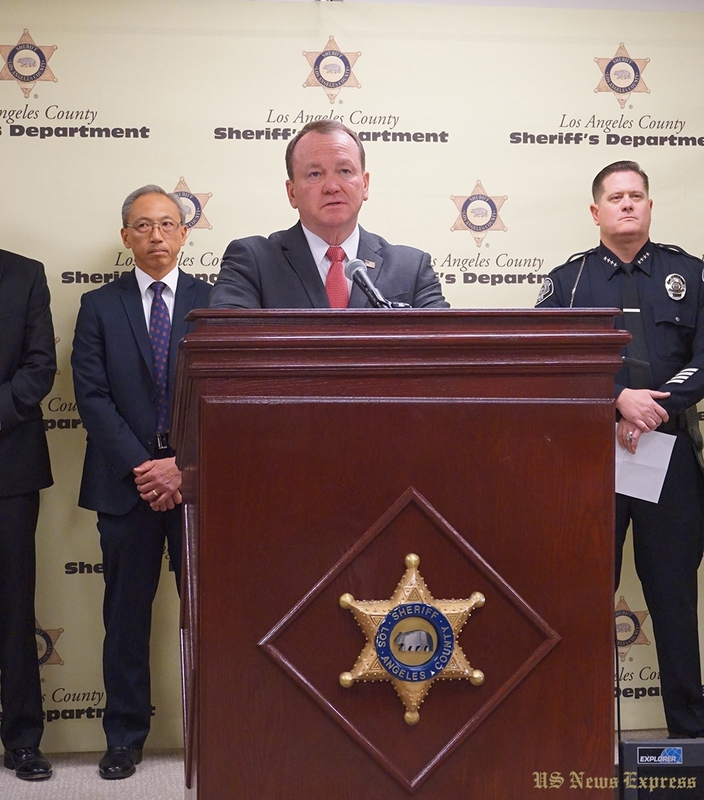 This is the first time in recent memory a suspect has been brought back from the government of the Hong Kong Special Administrative Region of the People’s Republic of China by Los Angeles County Sheriff’s Department personnel. The boys, Anthony Lin, age 15, and William Lin, age 16, were discovered by their mother in their Arcadia home on Friday, January 22, 2016, suffering from traumatic, blunt force wounds to their torsos. Apparently bludgeoned to death just hours before they should have been waking up for school, the young men’s bodies were not found until almost 1:00 PM that afternoon. They were pronounced dead at the scene. The investigation into the case continued when Sheriff’s Homicide Bureau detectives responded to the 400 block of Fairview Avenue, Arcadia, to assist Arcadia Police Department personnel in determining the circumstances surrounding the deaths. They learned Arcadia police officers went to the home in response to a 9-1-1 call from a woman indicating she needed help and her sons had been attacked. The woman identified herself as the mother of the boys. The boys were found to have suffered severe blunt force trauma. Further investigation led detectives to suspect the boys’ deaths were connected to a domestic dispute and assault which had taken place a day earlier, Thursday, January 21, 2016, between the suspect and his estranged wife. The dispute reportedly involved the suspect, Deyun “Jeff” Shi, 44, who is married to the aunt of the murdered boys. It was on that day that Suspect Shi attended court with his wife, learned she wanted a divorce and he was served with a restraining order. After leaving court, Suspect Shi allegedly disregarded the restraining order, went to the estranged wife’s La Canada-Flintridge home, and assaulted her with a wood-splitting hammer. The wife suffered serious, but non-life threatening injuries and was treated at a local hospital. The victim’s brother and his wife left the boys, Anthony and William, asleep and drove from their Fairview Avenue home to the hospital. While the injured wife and her brother and sister-in-law were at the hospital, Suspect Shi allegedly drove to the Fairview Avenue home, forced entry, and fatally beat them with the tool as they lay in their beds. The suspect did not summon medical assistance for his nephews. Instead, Suspect Shi, a Chinese national in the United States on a business visa, abandoned his vehicle at a Los Angeles airport parking structure and took a flight bound for Hong Kong. Timing, interagency communication and international cooperation were essential at this juncture, as it was determined Suspect Shi had boarded a direct flight to Hong Kong. 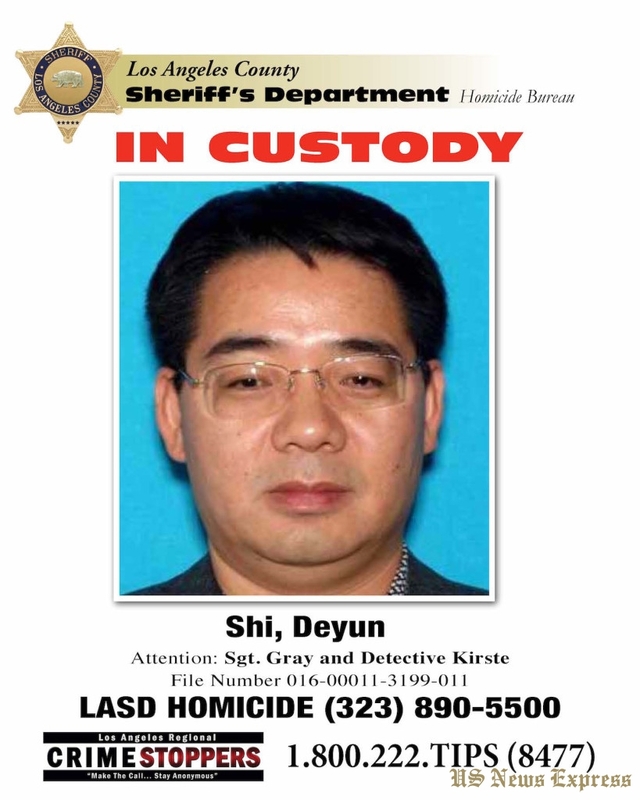 Detectives from the Los Angeles County Sheriff’s Department contacted the Homeland Security Investigation Attaché (HSI Los Angeles) and indicated that Suspect Shi had fled the United States to Hong Kong. HSI Hong Kong immediately began coordinating with Hong Kong Police Force (HKPF), Hong Kong DOJ, and the FBI Legal Attaché to explore the legal options of detaining Shi upon arrival in Hong Kong. With the culmination of communication, effort and cooperation between agencies, the operation to located Suspect Shi was successful and he was detained by the Hong Kong Police Force personnel upon landing. Two detectives from the Los Angeles County Sheriff’s Department and two agents from the Federal Bureau of Investigations flew to Hong Kong, and took custody of Suspect Shi from Hong Kong Police. 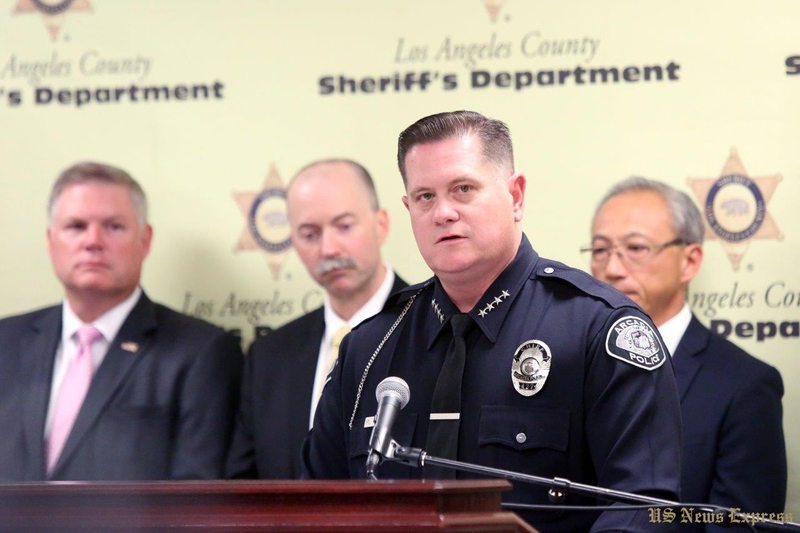 They returned Friday afternoon, April 15, 2015 and transported Suspect Shi to South Los Angeles Sheriff’s Station, where he was booked for the charge of Murder. Shi is being held without bail. He will face arraignment on Monday, April 18, 2016, at Pasadena Superior Courthouse. • FBI International Operations in Washington, D.C. Double Homicide suspect Deyun “Jeff” Shi. Divisions within Trump’s Team Lead to Renewed US-China Trade Tensions?